How to flash Intex Mega 528with volcano tool and Intex Mega 528 flash file download. 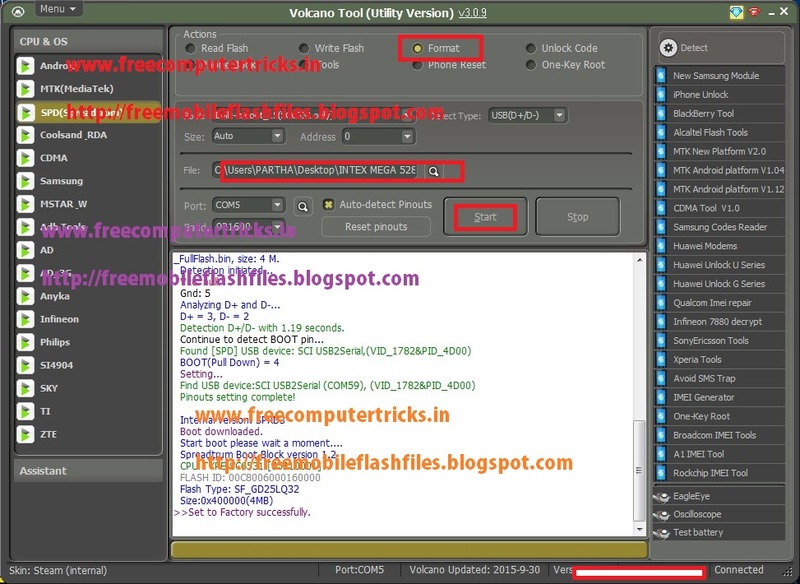 The below is the complete process to flash the phone using volcano tool, download the Intex Mega 528 flash file and write flash or format with volcano tool. Intex Mega 528 has SPD SC6531 CPU so before do format back up the full flash with read flash option with volcano tool. Detection D+/D- with 1.19 seconds.